What happened on the day of crucifixion? 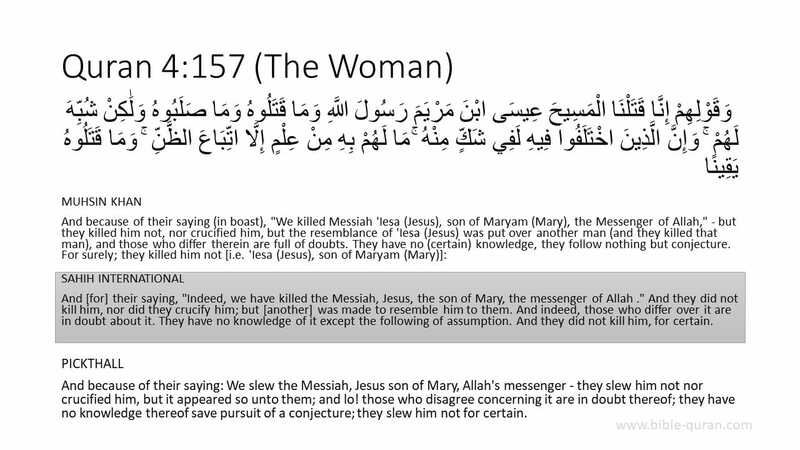 Below is a fatwa—religious legal pronouncement—explaining what happened at the crucifixion by Siddiqui, Muzammil, What happened on the day of crucifixion? ; World Fatwa Management and Research Institute (INFAD); Islamic Science University of Malaysia. Name of Questioner: Khadijah B. Subject (not all answers are published): Crucifixion: Fact or Fiction? Question: Dear respected sheikhs, as-salamu `alaykum. I have converted to Islam recently. I have a question concerning Jesus (peace and blessings be upon him). What happened on the day of crucifixion? My Muslim husband doesn’t explain it so that I can understand the whole issue. He mentioned that someone else took his place. Could you please furnish me with the correct Islamic view regarding the issue? Jazakum Allahkhayran. In the Name of Allah, Most Gracious, Most Merciful.All praise and thanks are due to Allah, and peace and blessings be upon His Messenger. In the first place, we would like to stress that Muslims believe that Jesus (peace and blessings be upon him) was not crucified. 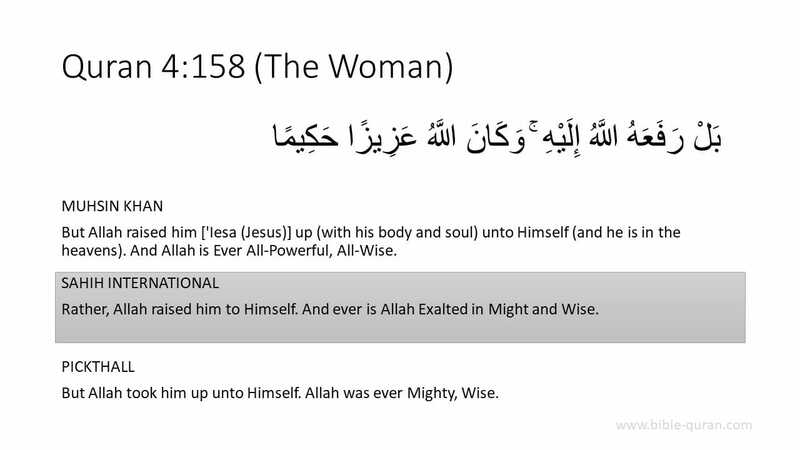 Allah saved and raised him, and someone else was crucified in his place. Jesus (may Allah be pleased with him) will return before the Day of Judgment. However, he will not come back as a Prophet with a new Divine message; rather he will follow the religion of Islam as taught by Prophet Muhammad (peace and blessings be upon him). After his return, in sha’ Allah, Jesus’ mission will be to destroy evil and kill the Anti-Christ. There is a great deal written on this subject by the commentators of theQur’an and many other Muslim writers. This is not the place to go in any detail about this subject. You may read some good Qur’anic commentaries such asYusuf Ali’s translation and commentary or Maududi’s Towards Understanding the Qur’an and other writings on this subject. Some Muslim scholars such as Ibn Taymiyah in his book al-Jawab As-Sahihhave expressed that Jesus (peace and blessings be upon him) prayed to Allah to remove the cup of death from him. Allah Almighty who loved and cared for Jesus did not refuse his prayer. It is Allah’s way that He accepts the prayers of His Prophets and Messengers. Thus, Allah accepted Jesus’ prayer and willed what Jesus himself willed. Allah saved Jesus (peace and blessings be upon him) from the pain and agony of death on the cross. He sent His angels to strengthen him (i.e., to support him and to give him the assurance that Allah would save him), and then they took him away from those who tried to kill him. The crowd, however, became confused and some of them thought that they killed Jesus (peace and blessings be upon him) Allah has informed us that this indeed did not happen. There were many groups among early followers of Jesus who also believed that Jesus was saved from the death on the cross. They did not believe that he was crucified. However, slowly the doctrine of crucifixion (and with it the doctrines of redemption and atonement) became the orthodox doctrine and the Church condemned other positions. The Qur’an took the early and the true position in this matter. The Qur’an has emphasized both the humanity of Jesus as well as his greatness as a Messenger of Allah. The obvious problem with this fatwa is that Jesus’ death on the cross is an historical event. The Quran was recited hundreds of years after Jesus by a person who did not witness the event. What this fatwa actually does is to show that the Quran is a historical fiction when it comes to the cross. If the Quran it is not a reliable source about events that happened in this world, then why believe it as a source about the world to come?